This entry was posted in Canada Canada Immigration and tagged business in Canada Canada Business Visa Canada Business Visa requirements Canada Immigration live in Canada Migrate to Canada on August 20, 2014 by Blog Author. Commencing a new business in Canada is really a rewarding challenge, both personally and financially. It requires lots of commitment and profitable nous to get a real success in business. Canada’s prosperous, knowledgeable market represents the supreme challenges and offers greatest chances for business leaders and investors who aim for lives in Canada and tempt them to migrate to Canada. Individuals are anticipated to support the progress of well-built and affluent Canadian economy. 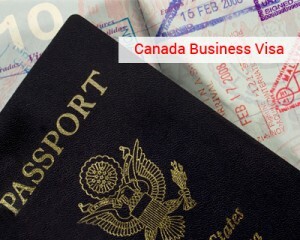 Business Visa to Canada is usually issued to migrants who invest, or set up businesses in Canada. Canada Business Visa allows overseas nationals to own and dynamically handle business in Canada that generates jobs and contribute to the country’s economy. Business immigrants are chosen depending on their capability. Applicants need to fulfill Canada Business Visa requirements which are given below. Fulfill basic entry requirements to do Business in Canada such as valid passport, intention to leave Canada, and must meet financial, health and character requirements. Applicants, after fulfilling the necessary requirements must fill and submit the Canada Business Visa application form carefully. The details must be specified clearly and exactly in the application form. Improper or lack of details in the application may results to visa disapproval. Canada Business Visa application form must be submitted with all the relevant documents. Once, the application form is submitted the Canada Business Visa process begins. The processing time for the visa varies for varied individuals. However, mostly it depends on applicants’ profile. If you are interested on this visa, please fill out MoreVisas Enquiry form, and also follow us @ Facebook, Twitter, Google+.